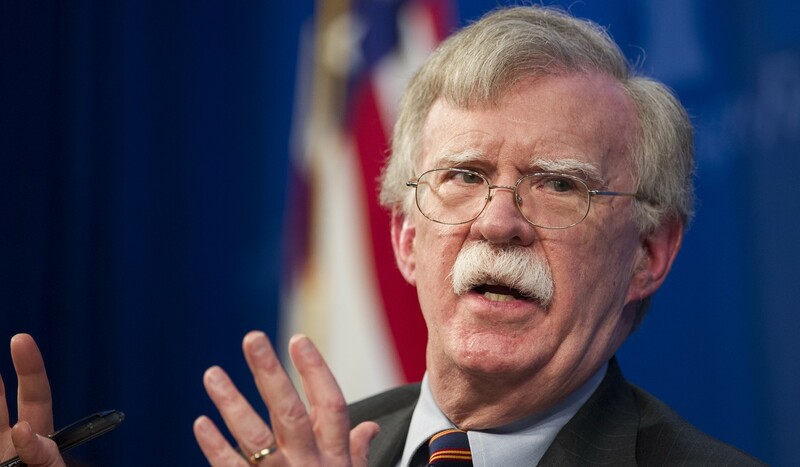 Last month, US National Security Adviser John Bolton unveiled “Prosper Africa”, the Trump administration’s new US strategy towards Africa. Surprising many, however, the plan's focus was less about Africa and more on China. Bolton said Africa is experiencing the “disturbing effects of China’s quest to obtain more political, economic, and military power” and described the continent as part of China’s plan to advance “Chinese global dominance”. China’s “predatory practices”, he said, pose a significant threat to US national security interests, and countering these threats is one of the priorities of the US strategy towards Africa. Through Prosper Africa, Bolton said, the United States will help African countries take ownership of their own development and security. US support for increased investment in Africa will counter predatory Chinese financiers, and transparent bilateral trade and investment agreements with America will create mutually beneficial business partnerships. US aid, moreover, will go only to countries that advance US interests. The US will reconfigure or terminate support for UN peacekeeping missions (many of which include Chinese troops) that do not facilitate lasting peace. China’s foreign ministry reacted quickly, rejecting Bolton’s accusations and emphasising that China supports African industrialisation and agricultural modernisation. China’s nationalistic Global Times added that the US strategy treats Africa as a colony of the West and conveys contempt for Africa. Africa alone, not the US, should judge China’s aid to the continent, it said. So how concerned should China be about this new US policy towards Africa? Not very. Bolton’s statement is heavy on rhetoric, but the strategy is stillborn because the administration is not allocating the resources or manpower required for it to succeed. Long before Bolton’s remarks, the Trump administration sought to cut foreign aid by about one-third, although Congress ultimately restored most of the proposed reduction.US aid to Africa is considerably higher than China’s, but by using figures from previous administrations, Bolton overstates its present-day effects. In fact, Africa will almost certainly see lower aid levels under the Trump administration. The Pentagon has already announced that, over the next several years, it will reduce the 7,200 military forces serving in Africa Command by about 10 per cent. But Washington’s reluctance to properly resource its new Africa strategy is not the only problem. The US faces serious structural obstacles. In the short term, no government, no matter how powerful, can control global markets. Signing additional bilateral trade agreements will have a minimal impact on trade flows. Every White House since Eisenhower has called for boosting US-Africa trade, often under the familiar “trade not aid” mantra. Ultimately, however, soft US demand for African products and insufficient African purchasing power meant US purchases of African oil dominated the trade relationship. High oil prices and high demand in 2008 pushed US trade with sub-Saharan Africa to a peak of US$104 billion, but after US shale gas came online, oil prices plummeted, and, in turn, US-Africa trade fell to US$39 billion in 2017. US exports to sub-Saharan Africa have ranged from a low of US$6 billion in 2000 to a high of US$25 billion in 2014, modest figures compared to China, which has been Africa’s largest trading partner since 2009. China’s trade with sub-Saharan Africa has also declined in recent years but was US$57 billion in 2017, primarily Chinese exports, according to the World Bank. Policy loans from the China Development Bank and the Export-Import Bank of China make up the lion’s share of Chinese finance into Africa and are intended to support infrastructure construction by China’s state-run companies. In the US, the private sector determines how much to invest, which in Africa’s case has not varied significantly from year to year. Many US lenders are similarly uninterested in Africa, which they often reflexively perceive as risky, and American construction firms simply cannot compete on the continent. American firms are also hamstrung because Washington’s best policy tool, the US Export-Import Bank, remains underfunded and crippled due to Congressional opposition. Still, in recent years, US annual investment flows to Africa (which are distinguished from debt financing) have usually been higher than Chinese flows. The recently created US International Development Finance Corporation, which replaces and doubles funding of the former Overseas Private Investment Corporation, is a positive, albeit small, step in the right direction. Ironically, if the Trump administration is serious about competing with China in Africa, or anywhere else in the developing world, it should begin by engaging the continent on its own terms rather than treating it as the venue for a geopolitical struggle against Beijing. Beyond that, Washington ought to maintain aid to Africa at least at levels of recent administrations and increase exports to Africa by significantly expanding funding via the Export-Import Bank. To increase American investment in Africa, funding for the International Development Finance Corporation should be further increased and a sizeable portion of funds allocated specifically for African projects. Politically, the administration should host more African leaders, send more high-level US delegations to Africa, and fully staff embassies and open new embassies in those countries where they do not exist. Short of such tangible steps, however, Beijing has little to fear from Bolton’s bluster.